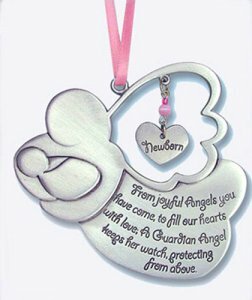 CATHOLIC GIFT SHOP LTD - New Born Cradle Medallion for a Girl. New Born Cradle Medallion for a Girl. New Born cradle medallion for a girl with pink ribbon.